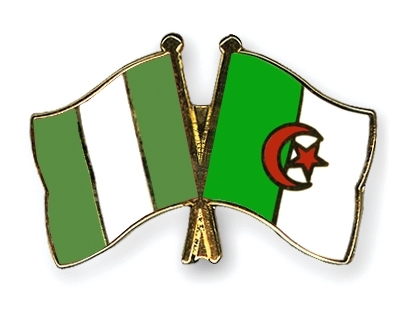 Apparently, Nigeria and Algeria share more similarities than the correspondence in the terminal sounds of their names and the fact of their being formerly colonized, oil-exporting African countries that were once engulfed in prolonged political turmoil as a result of the unjust annulment of free and fair elections in the early 1990s. It turns out that both countries also share the reality of a severe language crisis, especially among their young populations. Two unrelated discoveries instigated this comparison. First, it appears to me that the rest of the English-speaking world thinks many Nigerians speak and write inexcusably atrocious English. Second, I recently read an insightful blog post by a Cambridge-educated Algerian linguist by the name of Dr. Lameen Souag on Algeria’s “language crisis,” that is, the fact that many Algerians under 40 years are unemployable because they are not fluent in French (their colonial language), Arabic (their official language), or Berber (their native language), leading an Algerian professor to label them “trilingual illiterates.” The issues raised in the blog post have several uncanny parallels with Nigeria. Several such search queries (such as “why do Nigerians write terrible English,” “why is Nigerian English so hard to understand?”) have led people from all over the world to the many Nigerian Englisharticles on my blog on a daily basis. The queries can, of course, be legitimately accused of vulgar empiricism; encountering the mangled English of a few ignorant young Nigerians on cyberspace is not sufficient to warrant a search on why Nigerians speak bad English. A whole lot of Nigerians do speak and write perfect or near-perfect English. But you have to be living under the rock to not notice the alarming decline in the quality of English among our youth. The conclusion I am inclined to draw from the queries that lead people to my blog (and, I presume, to many other language sites) is that many English-speaking people who relate to Nigerians—most of whom I imagine to be young Nigerians under 30—on the Internet go away with the impression that Nigerians have an appallingly awful mastery of the official language of their country. Such a conclusion would have been inadmissible if I had not myself noticed—and written about—the progressive atrophy in the quality of spoken and written English among Nigerian youth. This is particularly disquieting because the fall in the quality of spoken and written English in Nigeria is happening simultaneously with the loss of proficiency in our native languages. As I noted in an August 26, 2012 article on the English Nigerian children speak, we are raising a generation of Nigerians whose first and only language is a deformed, ghettoized, and impoverished form of English that is incomprehensible to other members of the Anglophone world. I shudder to think the fate that awaits these hapless children in our increasingly globalized world. I am equally troubled by what I call the prevalent multilingual illiteracy of the present generation of Nigerians. A typical educated Nigerian speaks between three and four languages: a native minor/minority language, a regional language (usually Hausa for northerners and Yoruba for speakers of dialects of Yoruba that are mutually unintelligible with standard Oyo Yoruba), Pidgin English, and English. Many people defy this typology. For instance, an educated native Hausa speaker may speak Hausa, English, and some Pidgin English—and maybe Arabic. But our proficiency in these multiple languages is gradually deteriorating. 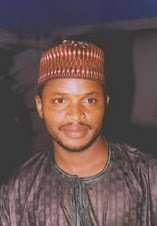 Except for Hausa and, to some extent, Yoruba, all Nigerian languages are endangered because of a lack of language loyalty, an incompetent mastery of the rules of the languages, and the tendency toward what linguists call code-mixing and code-switching, that is, an inelegant admixture of English and our native languages. The desire to speak English is often blamed for the pitiful state of our native languages, except that our mastery of English, on whose behalf we devalue our native languages, is also so awful that other speakers of the language can’t help but notice. (Any form of English that is unintelligible to the rest of the English-speaking world is useless.) And Pidgin English, the other major “language” we speak, is an anarchic, linguistically deficient language that not only has limited utility outside Nigeria, but that is incapable of being the medium for serious scholarly inquiry and global communication. That leads me to the Algerian language crisis, the kind of which Nigeria seems headed. According to a WikiLeaks cable titled “Trilingual Illiterates: Algeria’s Language Crisis,” “Decades of government-imposed Arabization have produced an under-40 population that, in the words of frustrated Algerian business leaders, 'is not fluent in anything' and therefore handicapped in the job market and more vulnerable to extremist influence.... The 20-40 age group now competing for jobs speaks a confusing mixture of French, Arabic and Berber that one business leader called 'useless,' as they cannot make themselves fully understood by anyone but themselves." I’ll ignore the politics of this observation, which emerged from US embassy staff in Algeria, and instead concern myself with its socio-linguistic implications. Although Berber is the ancestral language of 99 percent of Algerians, only between 27 and 30 percent of the people speak it. And, although Modern Standard Arabic is Algeria’s official language, most of the population speaks a debased, creolized form of Arabic called Darja, which is unintelligible to people in other parts of the Arabic-speaking world. Competence in French, Algeria’s colonial language, is also low. Only about 11 million of Algeria’s nearly 38 million people speak some form of French. It is said that only the children of wealthy Algerians and educated people over the age of 40 speak standard French. This confused linguistic state has had real material consequences for Algerians, as the following excerpt from a WikiLeaks cable shows: “Over an iftar dinner at the Ambassador's residence towards the end of Ramadan, several Algerian business representatives lamented what they called the ‘lost generation’ of Algerian workers, who are left out largely because of their inability to function at a professional level in any single language. Nigeria is getting to this stage—if it hasn’t already gotten there. We are seeing a generation of youngsters who can’t speak their native languages well and who confuse the “coolness” and “street cred” that come from a mastery of textese, Internet abbreviations, and an exasperatingly debased form of English as passports to a better life. They don’t realize that they are preparing themselves for a perfectly catastrophic linguistic, social, cultural, and economic crisis in the near future. Like in Algeria, nobody wants to employ people who can’t “communicate with anyone other than themselves.” Proficiency in a language, especially an international language, confers not only cultural and social capital; it also confers material capital.